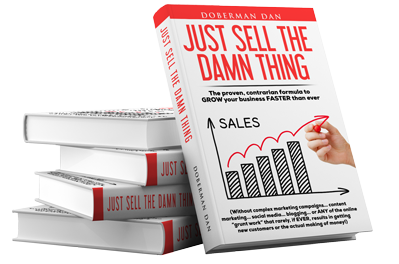 Here’s how one my subscribers to The Doberman Dan Letter developed a $71,000+ per year online business with an investment of only $560 and 4 weeks time. Here’s a video showing a big box of FREE gifts (a $841.00 retail value) I want to send you… absolutely FREE. This Beat The Control by 60%! Thursday, 8:49 PM Dear Friend, Here’s some of the best advice I’ve ever heard for budding entrepreneurs. Rookie Copywriter Beats Control by 25,000%! Thursday, 9:11 PM Dear Friend, How would you like to write a sales letter for your very first client that pulls a 25,000% increase over the existing copy. Not bad, huh? Here’s the story.